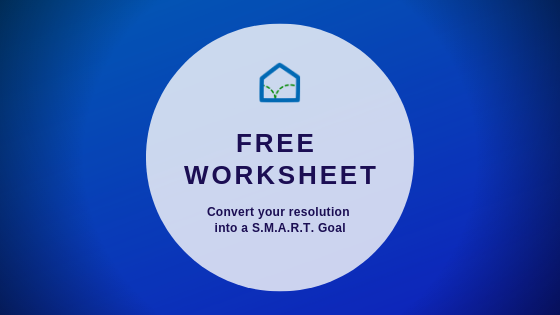 Home › Goal Setting › Resolutions VS. Goals – Which Is Better? It’s that time of year once again, the time where you could be creating your New Year’s resolution. You’ll hear people saying their resolution is to be more organized, something simple. Do you know the difference between making a resolution and setting a goal? Do you know how to create a SMART and effective goal? If your answers are no, don’t worry, keep reading and you’ll find all the answers you need. A resolution is not necessarily a big priority in one’s life, but a goal… that could make or break a person. It’s really easy to make a New Year’s resolution every year and completely ignore it. A goal requires much more thinking and planning. Only 40% of the population in America set a New Year’s resolutions. 80% of those people will fail within the first month. So, that means only 8% of America will complete their resolution by the end of the year. Why? When creating resolutions, people tend to bite off more than they can chew. People try to do it all on their own, even when they have multiple resolutions. People get too frustrated and quit. It’s definitely difficult to stick to a resolution but I know how to make it just a little bit easier. ➢ Start off small, choose something you know you can achieve through hard work, but don’t make it so easy that there’s no challenge. ➢ Make sure it’s within reason. You don’t want to set a resolution you know you won’t complete. ➢ It’s okay to Ask for Help!!! It’s normal to get frustrated, but your first instinct shouldn’t be to give up, especially if you have barely started. ➢ If you have multiple resolutions, try to work with one at a time. You don’t want to get overwhelmed. 1. Specific – What exactly are you trying to do? How are you going to do it? When will you do it? Where will it happen? Why do you want to do it? The more specific the better. 2. Measurable – Make sure your goal states exactly what will be happening. For example, if your goal is to lose 15 pounds, you’re measuring in pounds. Doing this makes the goal easier to reach. 3. Attainable – Is your goal reasonable? 4. Relevant – Does your goal make sense to you? 5. Time Bound – Create a deadline! Most people work better under pressure. Following these steps will make sure you easily and effectively achieve your goals. Let’s review. A resolution is a decision or idea you can choose to complete or not. When creating a resolution, you’re giving yourself an option to lose. It’s much easier to give up something if you have the option to do so. A goal, on the other hand, is a specific desired result a person wants. Even though nothing is wrong with New Year’s resolutions, goal setting is just much more effective. You’re not giving yourself the opportunity to quit. When creating a goal, you need to put more thought into it. The more effort you put in, the easier it will be to accomplish. It’s proven that fewer people achieve their resolutions while a higher percentage achieve their goals.